Just when it seemed like the Marvel Cinematic Universe was getting so big that the whole superhero-movie bubble might burst, along comes an adventure that’s told on a much smaller scale. Put it this way: The first action sequence in Ant-Man takes place in a bathtub. Ant-Man is ultimately too bland to leave much of an impression, but at least it's still a much-needed reminder that there are people underneath all that spandex. 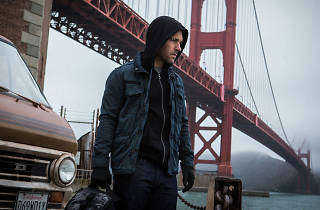 Based on a comic character that first appeared in 1962, Ant-Man tells the origin story of a sweet-natured thief named Scott Lang (Paul Rudd). Incapable of holding a job but determined to pay child support for his daughter, Lang re-teams with his old crew (a trio fronted by the great Michael Pena). Their first score, however, is revealed to be a scheme concocted by scientist Hank Pym (Michael Douglas). Ousted from the company he founded after his particle—capable of reducing things to a fraction of their original size—was deemed too dangerous for mass consumption, Hank needs a skilled but expendable stooge to break into his old lab and steal the research from his evil protégé, Darren Cross (Corey Stoll, essentially channelling Jeff Bridges’s bald villain from Iron Man). Rudd’s affable wit makes him a perfect choice for the part. But his performance is uncharacteristically inhibited, as if he felt there was too much at stake to try something new. Even the jokes that do work leave some laughs on the table, and the impulse to play things safe proves emblematic of a film that shrinks in the face of a challenge. While Ant-Man borrows from the likes of Inception and Ocean’s Eleven, its heist elements are reduced to window-dressing. Director Peyton Reed—who replaced Shaun of the Dead’s Edgar Wright just weeks before shooting began—deserves credit for jumping aboard a speeding train, but his inoffensive finished product proves that Marvel is more interested in protecting the house style than making great movies. Ironically, it doesn’t really matter if a superhero is big enough to punch Thor or small enough to squeeze through a keyhole: When it comes to Marvel movies, one size fits all. Ant-Man is pretty average. Paul Rudd is likeable, playing a “I’m not really a bad person” criminal. The action is okay. And the story is what you’d expect from a superhero movie. All in all, not quite a Green Lantern disaster but not quite a Guardians of the Galaxy success either. 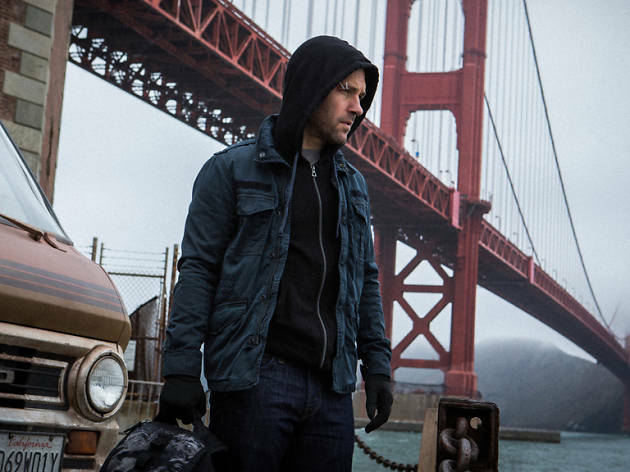 Just when you thought Paul Rudd's acting career was going nowhere, he becomes Ant-Man! I absolutely love Rudd but his previous films have been nothing on this. The film is pretty cheesy but you can tell it's been done intentionally, and as if Rudd would come without cheese anyway!? Definitely worth watching if you like the Avengers movies, and make sure you watch the after credit scenes.